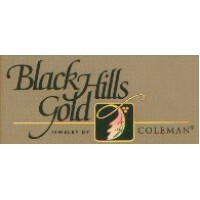 Black Hills Gold Jewelry Designs. Lifetime Warranty On All Our Jewelry. We Guarantee Our Prices are Lower Than ALL Competitor Prices. If You Find A Lower Price We Will Not Just Match The Price, WE WILL BEAT IT! Guaranteed. All Jewelry Purchased Now Through Christmas May Be Returned Up To 30 Days After Christmas. All Jewelry Is BRAND NEW FROM THE FACTORY And Comes In A Jewelry Box. According to legend, the origin of Black Hills Gold was inspired by a French goldsmith, Heri LeBeau. Many years ago, the young Frenchman designed and made jewelry in Paris. After he perfected his method, he came to America. During the 1849 Gold Rush days, he decided to go to California and make his fortune. When he reached the rugged Black Hills of South Dakota, he became hopelessly lost in the wilderness. He wandered for days without food or water. By some miracle of nature he had a vision of running water with grape leaves floating in a stream from a nearby vineyard. The vision was real and his life was saved. 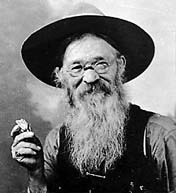 Henri never did strike gold of his own but he did stay in the Black Hills where he continued his craft. Influenced by his mystical experience, the jewelry he created took the shape of grape clusters and leaves, fashioned in rose, green and yellow gold. The familiar design is almost the same as it was a century ago. Today, each piece of Black Hills Gold Jewelry is manufactured through a series of up to 40 different steps. Each tiny leaf or swirl is made with infinite care. The perfection of detail requires that artists spend from one to eight hours creating a single piece. 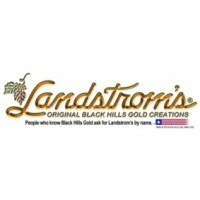 The exquisite tri-color gold jewelry is custom made in Rapid City, South Dakota. P.S. Legend has it. 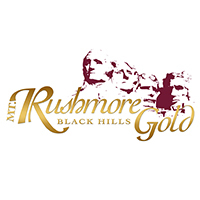 . . good luck comes to all who wear Black Hills Gold Jewelry.